What general tips do you have for golfing in MATLAB? I'm looking for ideas that can be applied to code golf problems in general that are at least somewhat specific to MATLAB (e.g. "remove comments" is not an answer). Please post one tip per answer. In MATLAB calculations a character behaves the same as its ascii code. In MATLAB, strings identifying properties can be shortened as long as it does not result in ambiguity. plot(X,'C','k') % Ambiguous property found. Though it only saves one char, this can be used quite frequently. which starts at 1 and moves in the negative angular direction. Try all of the above here. Iteration over vectors in matrices. I've only learned about this trick just now from @Suever in this challenge. Related, but not identical tips for Octave. is equivalent to strchr('sssssssssssssst','t') and returns 15.
is equivalent to nnz('nnnnnnnnnnnnnn') and returns 14. Stuff like gt r s works too (equivalent to 'r'>'s' or gt('r','s'). Imagine you want the sum of a logical matrix A. Instead of sum(sum(A)) or sum(A(:)), you can use nnz(a) (nnz implitictly applies (:)). If you want to know the number of elements of an array, and you can be sure there are no zeros, instead of numel(x) you can use nnz(x). This is applicable for instance if x is a string. I quite often find myself using meshgrid or ndgrid, let's say we want to compute a mandelbrot image, then we initialize e.g. The built-in ones and zeros are a typically a waste of space. You can achieve the same result by simply multiplying an array/matrix (of the desired size) by 0 (to get the output of zeros) and add 1 if you want the output of ones. This also works if you want to create a column or row vector of zeros or ones the size of one dimension of a matrix. If you want to create a matrix of a specific size you could use zeros but you could also just assign the last element to 0 and have MATLAB fill in the rest. For summing up functions f(x_n) where n is a vector of consecutive integers, feval is adviced rather than symsum. If the function can be naively written no one from either last ways is suitable. Not the answer you're looking for? 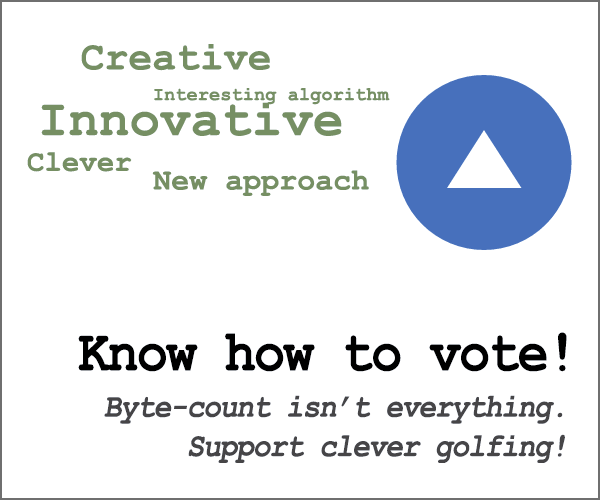 Browse other questions tagged code-golf tips matlab or ask your own question. Tell me my screen resolution!